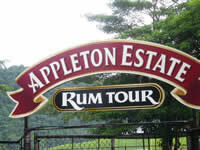 Discover the beauty of the South Coast with a boat tour by motor launch up Jamaica's largest navigable river and through what is Jamaica's largest wetland area, Black River Safari the Black River lower morass. Your well-informed captain shows you the flora and fauna that inhabits the banks of the longest river on the island. Explore remote mangrove swamps and view crocodiles and other native species in their natural habitat. Over 100 species of birds have been recorded in the Black River morass and many are seen during your trip. The endangered American Crocodile inhabits the area and sightings are very very frequent. The wetland vegetation is of special interest with three species of mangrove, Thatch palms, Royal palms and freshwater swamp forest dominating. The Great Morass, a 125 sq. mile mangrove swamp, extends inland from the mouth of the Black River - Jamaica's longest river (44 miles). 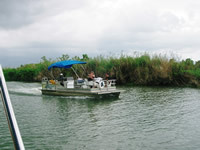 It is possible to navigate a boat up river for about 12 miles. This wetland is a vital preserve for more than 100 bird species, among them - Jacanas, egrets, whistling-ducks, water hen, seven species of herons and red-footed coots. The brackish waters also harbor an underwater bounty of snook, and tarpon that can reach 200 lbs.